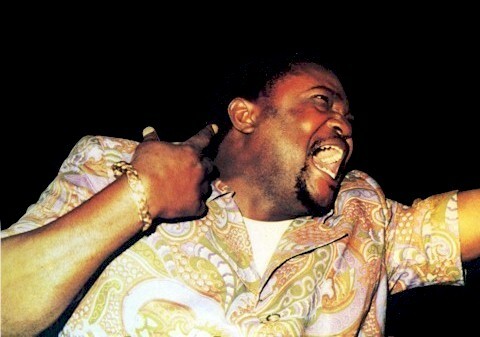 It's hard to believe that the great Franco, l'Okanga la Ndju Pene Luambo Makiadi, has been gone almost 20 years now (he passed on October 12, 1989). 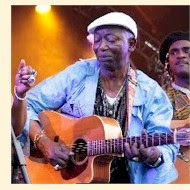 In his day he strode the scene like an elephant, or more like a Brontosaurus, really - pretty much defining modern African music, not only in his native Congo, but throughout the continent. The songs presented here, then, show Franco at a major turning point in his career, when short, catchy melodies gave way to lengthy, more complex compositions. In a few years his style would mutate even further, toward baroque, almost orchestral pieces like "Proprietaire," "Tres Impoli" and "Attention na SIDA." While some of these tunes have been reissued on CD in recent years, I'm not sure that any of them are in print now. Others have never been reissued to my knowledge. All of these are Kenyan pressings. In the early 1980s TPOK Jazz was actually two orchestras, one based in Brussels and led by Franco and a second team helmed by Lutumba Ndomamuendo, or "Simarro," which stayed in Kinshasa. 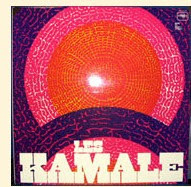 I've been unable to find any mention of "Exodus" (ASL 2271) in Congo Colossus or in Naotaka Doi's extensive Franco discography. I suspect that it has been released under another title. It's just too good a song to dwell in obscurity! Note: See update below. Bassist Celi Bitshoumanou ("Bitshou"), who wrote "Mokolo ya Mpasi" (Fiesta 51.086B), joined OK Jazz around 1965 when the band was temporarily in exile in Brazzaville following a run-in with the newly-installed Mobutu regime. He was responsible for a number of OK Jazz hits, including the classic "Infidelité Mado." 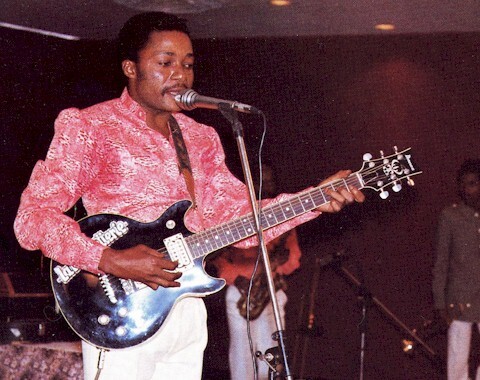 Bitshou left the band around 1974 with Mosese "Fan Fan" Sesengo and Youlou Mabiala to form the first incarnation of Orchestre Somo Somo. "Fifi Nazali Innocent" is the B side. 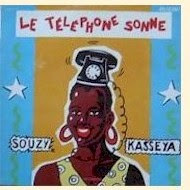 About "AZDA" (Editions Populaires EP 140), Graeme Ewens writes in Congo Colossus, "As if to show just how good a commercial song could be, in 1973 Franco released what proved to be one of his biggest hits outside Zaïre, AZDA.' This was the advent of the full-blown big band sound which would be the trade mark of the latter-day OK Jazz. While many outsiders thought it must have a heavily romantic lyric it was, in fact, an advertisement for the national Volkswagon dealership, whose acronym made up the title. The refrain 'Veway, Veway, Veway, Veway' is the local pronunciation of 'VW.'" Update: Reader Peter writes, ". . . As for 'Exodus,' I don't think it was written by Simaro & performed by OK Jazz. I think it's a Youlou Mabiala track from the late 1970s." Which could very well be true, although I transcribed the recording information on the label correctly. Consulting Tim Clifford's new Kenya-Tanzania 45s, it appears that "Exodus" was issued in the late '70s-early '80s, rather than in the early '7os as I had earlier thought. Update 2: I should have mentioned this earlier but didn't. The background information in this post came from Congo Colossus, cited above. It's a great book! You can get it from Sterns or Amazon.